An incredible 13 Young Guns have been recognised in the Queen’s Birthday Honours list 2016. 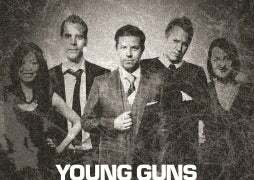 They join a fast-expanding list of Young Guns’ alumni honoured by the Queen in recent years. Innocent Drinks co-founder Richard Reed became a recipient of a CBE for his services to the food industry and charity. Reed was named a Young Gun in the scheme’s inaugural year in 2003. 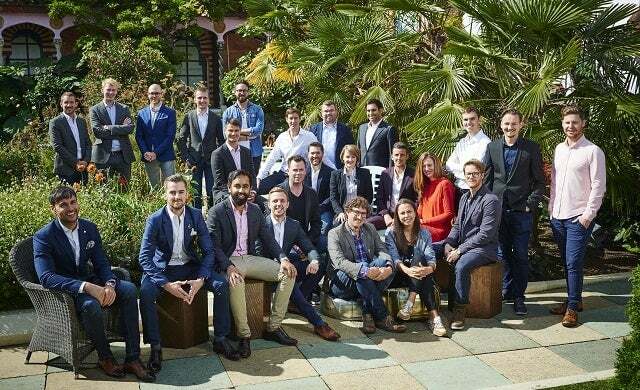 The company he started with university friends and fellow Young Guns Jon Wright and Adam Balon grew to become one of the UK’s most recognised brands, successfully exporting throughout Europe, with revenues rising to in excess of £250m last year. The trio exited in a deal estimated to be worth £100m to them, with majority shareholder Coca-Cola buying out most of their remaining shares. Reed has since invested in numerous start-ups via JamJar Investments, which he runs with Balon and Wright. Meanwhile he has helped to spearhead the Remain campaign for the EU Referendum and set up national outdoor art exhibition Art Everywhere, utilising many of the UK’s outdoor advertising spaces. Having recently travelled to Silicon Valley with a delegation of female tech entrepreneurs as part of the Mayor’s International Business Programme, Emma Sinclair, founder of Target Parking and EnterpriseJungle has been awarded an MBE for services to entrepreneurship. Sinclair – a member of the Young Guns Class of 2011 – has the distinction of being UNICEF’s first business mentor and was the youngest person to float a company on the London Stock Exchange when she did so at 29. She was also a Telegraph columnist for its Wonder Women section for a spell. Sinclair sold Target Parking to existing shareholder CP Plus in 2014 to focus on her new venture Enterprise Jungle, which she started with her brother James. EnterpriseJungle quickly became a SAP Partner company. Also on the Silicon Valley trip was Caroline Plumb, the co-founder of recruitment, insight and innovation consultancy Freshminds with Charlie Osmond. The pair were named Young Guns in 2003 and Plumb, who has has since been appointed by the prime minister as a UKTI business ambassador for professional services, has received an OBE for services to business and charity. Last month Plumb stepped down as CEO at Freshminds, becoming executive chair, with Catherine Crump promoted from deputy managing director. Crafter’s Companion founder and the haysmacintyre Top Gun 2015 Sara Davies has received an MBE for services to the economy. 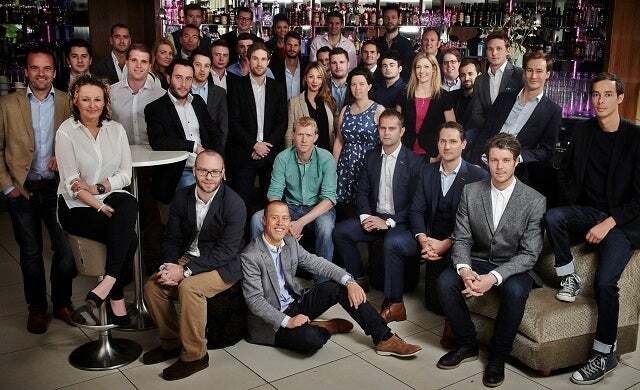 County Durham-based Davies was named a Young Gun after setting her arts and crafts marketplace business up 10 years before and growing it into a profitable business with a turnover of £10m and more than 60 staff. Another recipient of an MBE was Jennie Johnson, who set up childcare business Kids Allowed in 2003 and was named a Young Gun in 2006. The nursery chain business has proved hugely successful, with a series of nurseries opened across the North West. She stated last year that by 2020, she plans to have hit a turnover of £11m, with 450 staff, up from well over 300 employees today. Alex Depledge, recognised for her services to the sharing economy alongside her Hassle.com co-founder Tom Nimmo, both received MBEs. The pair set up the domestic cleaning marketplace business with Jules Coleman and sold it to German competitor Helpling for €32m last year. 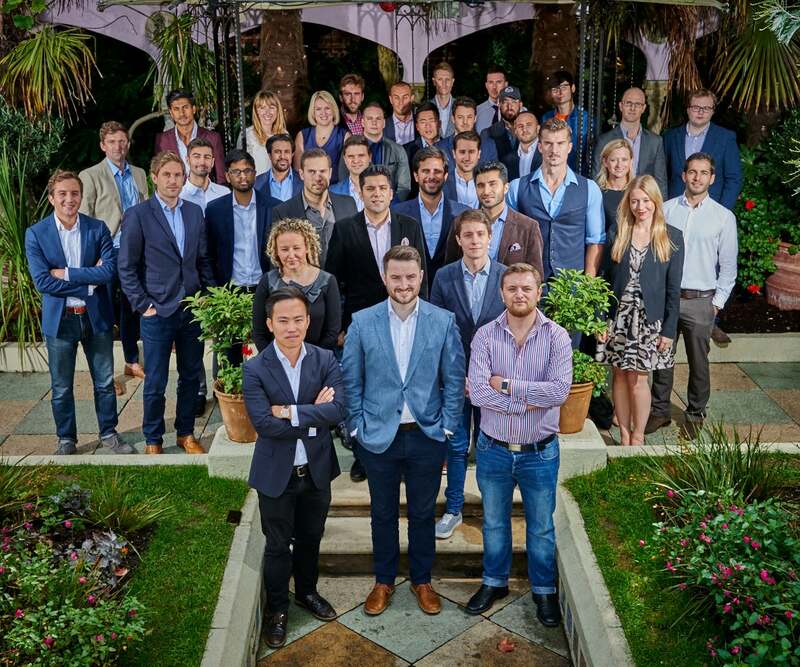 Hassle.com’s founders were part of the Young Guns Class of 2014 and were backed at an early stage by Accel Partners to the tune of $6m Series A funding. Other industries where Young Guns have had a powerful influence include brewing, beauty and technology. James Watt and Martin Dickie, the irrepressible founders of controversial craft beer company Brewdog and Class of 2009 Young Guns, have been awarded MBEs for their services to the brewing industry. 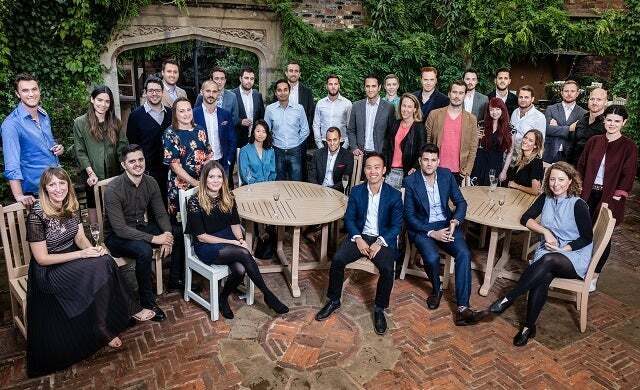 The pair were named Keystone Law Golden Guns – the alumni award for outstanding achievement – at last year’s Young Guns event for the fast growth of their business, which hit £30m turnover in 2014 having been started just seven years earlier. Last year, James Watt released his ‘rule-breaking’ business book Business for Punks and they launched a spirits arm Lone Wolf in May. Brewdog is Scotland’s largest independent brewery, has a chain of bars in the UK and overseas, and has raised millions from a series of crowdfunding initiatives via it’s ‘Equity for Punks’ offering. In the beauty industry, Simon Duffy and Rhodri Ferrier, the founders of Bulldog Skincare for Men, received MBEs for their services. Also launched in 2007, the company seized on and helped to grow the market for male grooming products, using comedian David Mitchell’s comic rants about modern life to build their brand. Their range of moisturisers and shaving products have proved a major exporting success and are well-stocked in the Nordic region, Spain, Austria, Ireland, and the Far East. The company, which was named a Young Gun business in 2009, was set to turn over £11m last year. And last, but certainly not least, Dr. Ben Medlock and Jon Reynolds, the co-founders of ‘clairvoyant keyboard’ Swiftkey, have been awarded MBEs for their services to technology. The pair helped to streamline texting by creating an artificial intelligence algorithm that predicts what you’re about to write. 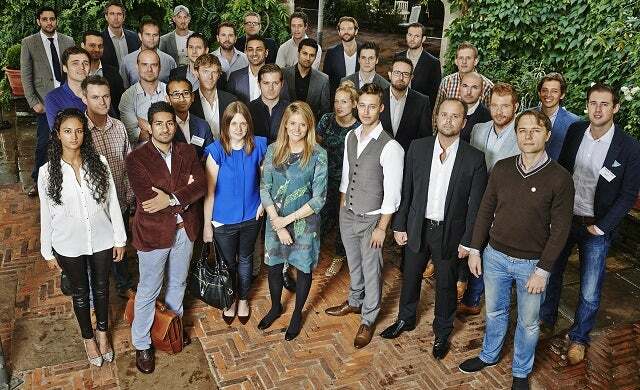 Cambridge graduates, they launched the business in 2010 and were named Young Guns in the Class of 2012. Earlier this year, Swiftkey was acquired by Microsoft in a deal reportedly worth $250m (£173.2m) and promised to continue developing its keyboard app for Android and iOS devices. The business generated £8.4m in 2014. Richard Reed CBE Co-founder, Innocent Drinks. For services to the food industry and to charity. Sara Davies MBE, founder, Crafter’s Companion. For services to the economy. Alex Depledge MBE (CEO) and Tom Nimmo MBE, co-founders, Hassle.com. For services to the sharing economy. Simon Duffy MBE and Rhodri Ferrier MBE, co-founders, Bulldog Skincare For Men. For services to the beauty industry. Jennie Johnson MBE, Chief Executive Officer, Kids Allowed. For services to apprenticeships. Dr Ben Medlock MBE (CTO) and Jon Reynolds MBE (CEO), co-founders of SwiftKey. For services to technology. Caroline Plumb OBE, founder and executive chair, FreshMinds. For services to business and charity. Emma Sinclair MBE, founder of Target Parking and co-founder of EnterpriseJungle. For services to entrepreneurship. James Watt MBE and Martin Dickie MBE, co-founders of Brewdog. For services to the brewing industry. You have the opportunity to join these illustrious names and become part of the Young Guns alumni. Click here to apply.